I worked toward my Ph. D. in political science in Buffalo, NY. I came to enjoy the city and its many treasures--architecture, art, parks, and so on. And one of those treasures was the Albright-Know Art Gallery. The first time I visited it with a friend, I was enchanted.This book traces the 150 years of the history of Buffalo's art museum. Founded in 1862, its early existence was peripatetic, moving from one temporary home to another. The current home, a Greek themed structure, opened with the Art Gallery in 1905. Since then, this handsome building has been the permanent repository of the artifacts.This volume begins with a brief history of the museum and its major figures, such as A. Conger Goodyear and Seymour Knox.The heart of the book, for me, is the cataloging of the objets d'art residing in the museum. There are well known paintings here--soup cans, for instance! The collection features works from different periods. For a medium sized city, the collection is quite nice--and housed in a fine setting.The pages are made of slick paper, showing off the art to fine effect. 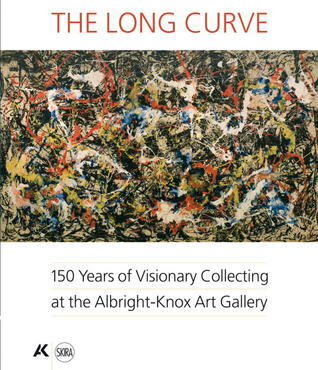 The quality of the production of this work is first rate.In sum, this is a fine volume, presenting the Albright-Knox Art Gallery well. Did not read the entire text, but I really enjoyed looking at this book from my hands down, favorite museum. If you love modern art, be sure to stop here next time you are on your way to or from Niagara Falls. In Buffalo, right near the freeway. You can enjoy it in just a few hours.I've been here 3 times. First with Ev, to see a Kurt Elling concert. The museum was a wonderful surprise. Next I took Stephanie. Then I stopped to show Alana on a weekend she and I shared at Niagara on the Lake, the summer before she left for college.